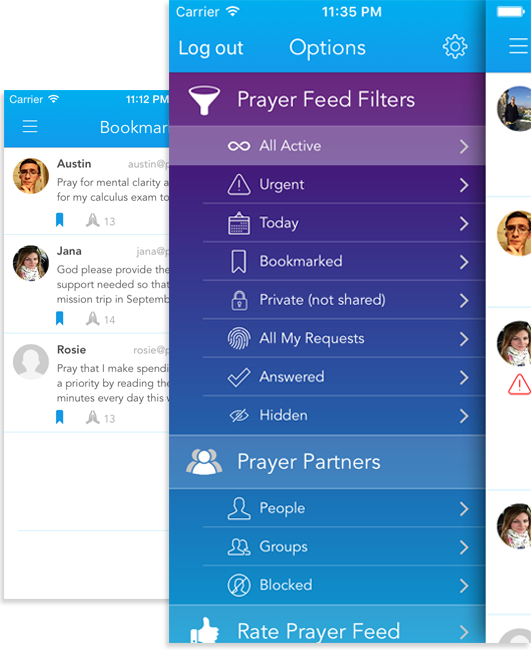 In a single app, a single screen, a single feed, you can view, create, share and pray for all of your Prayer Partners. Notify them immediately via push notifications, or create a prayer request just for you. 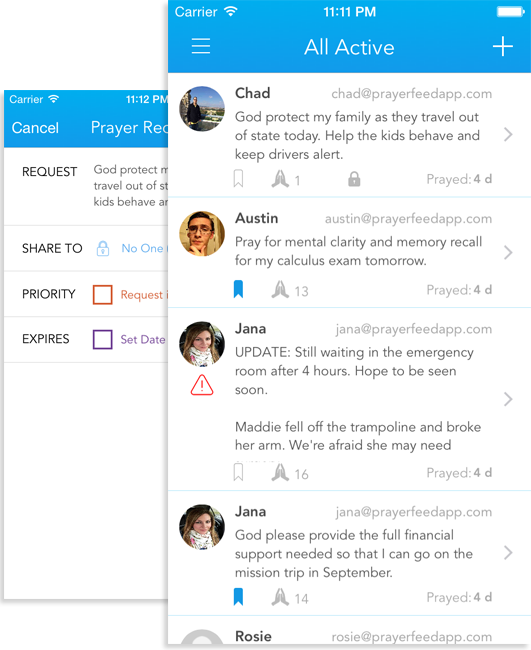 Share and receive prayer requests with family, friends, and accountability partners. Sync data between all of your devices and save offline to sync when you reconnect. Stay up to date with instant push notifications. 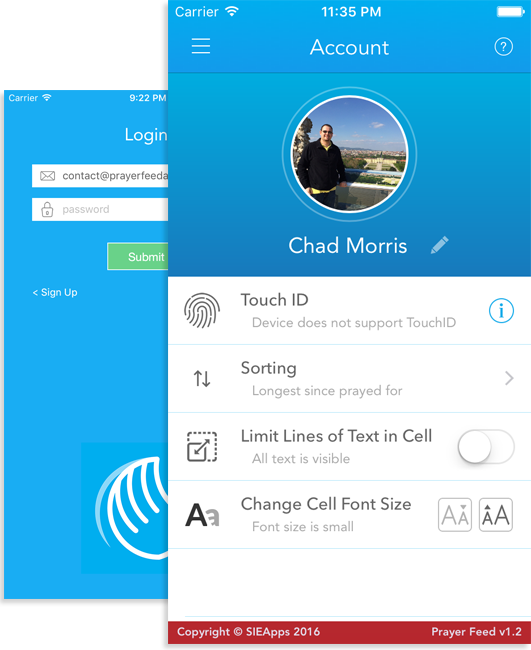 "The best thing about this app is that it lets me share my prayer life between my iPhone and my iPad. Now... I can do all my morning prayer devotionals on one device. Highly recommended."